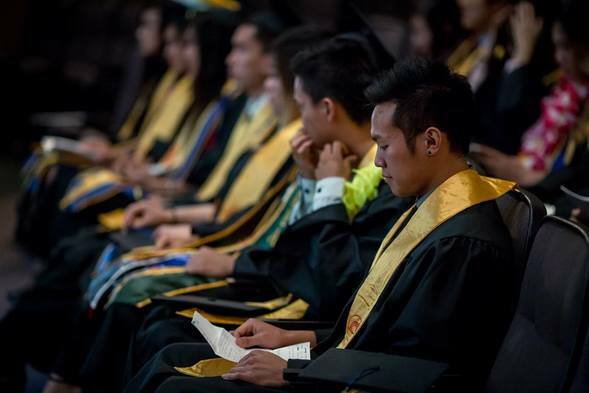 Our mission is to host a cultural graduation celebration that recognizes the achievements of the graduating Vietnamese-American student population at UC Irvine. The ceremony will honor aspects of the traditional Vietnamese heritage through bilingual speakers, cultural entertainment performances, and a formal graduate recognition ceremony. ​We hope to recruit Vietnamese students from all academic disciplines to participate in this annual tradition, and we also invite students who are interested in the Vietnamese culture to participate as well.